What if I told that you can see inside of yourself? You can peak through your conscious mind, talk to your soul and see beyond your physical body. Would you believe me when I say that there is an ancient plant that can help you to connect to your inner self in a way that you never knew you could? Would you be interested in something that can heal you and bring you into a superhuman level of clarity? If the answer is yes, I would like to share my story with you. About 3 years ago I worked with an owner of an interior design company in San Francisco. She was a 30-something vibrant woman with a spark in her eyes. She traveled a lot and one time she was telling me about her trip to Peru and the ritual she participated in called Ayahuasca. I never heard about it. She would go on and on how surreal it was. She shared how she could see herself as a third person and talked about an unbelievable clarity she had during the ceremony and after it. I was intrigued. Later on I heard about Ayahuasca from a friend who had sat in ceremony in San Bruno, CA with a shaman who would come to the city only twice a year. She also told me about traveling to a different dimension and the immense clarity. In her case though she had gone through some heavy physical sensations. After her story I got even more curious. Next day after talking to my friend I did a little research to find out more about this magical plant and how it all worked. And that was it. Even though it was interesting I never acted on it, never thought of going and actually drinking Ayahuasca. A year later I went through a break up and I was really sad and lost. I needed guidance, something that could show me a way out or a different prospective in my life. Surprisingly enough at the same moment I came across a post on Instagram that said: “Epic Awakening. Sacred Plant Medicine + Yoga Retreat.” That was it. It called me. I felt it in my gut..”you need to go there.” In a couple of days I was set and ready to go on a new adventure. An adventure that changed my life forever. What is Ayahuasca and why do people drink it? “Sacred plant medicine has been used by shamans world wide for thousands of years to heal, awaken and elevate consciousness. The plant we meditate in ceremony with comes from the depths of the Amazon and is revered as the mother of all Master plant teachers. It’s been used extensively to elicit spiritual revelations, heal past traumas, and reverse addictive behaviors. 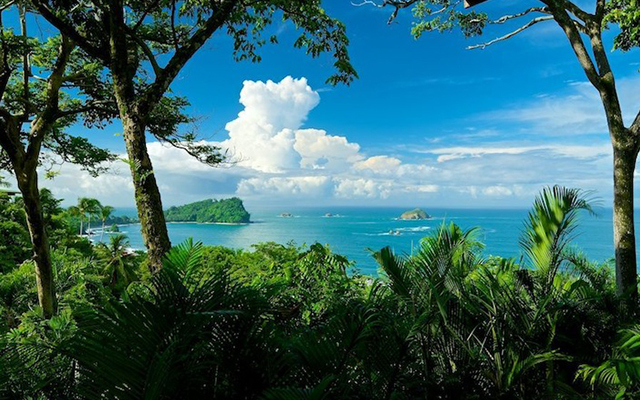 By the time I got to Costa Rica I knew so much about the whole ritual. There was a lot to read on the internet from happy and marvelous stories to the darkest, most disturbing ones. I tried to educate myself reading up on the subject as much as possible. One of the main things before the ceremony was dieting and detoxing. This preparation was absolutely necessary. During a week long retreat we enjoyed 3 raw and vegan meals per day prepared by a genius plant based chef. We practiced yoga every day and focused on our intentions and goals for the ceremony. All this helped to detox and clean the body and mind. I felt a bit nervous on that day as I kept telling myself to drop the expectations. I didn’t want to feel frustrated afterwards. At about 7pm we headed towards the temple. Right away I could feel the energy of a completely different source. It felt a bit intense and concentrated and at the same time light and warm. I could feel the excitement of others next to me. We were all ready. After the shaman told us about the experience we were about to have and giving us guidance, we came in one by one and drank a little cup of a bitter brewed substance. In about 1 hour I started feeling the energy going through my veins, a literal wave of energy. I became aware of my skin, my bones and every hair I had on my body. That feeling alone was really unusual. The sensation continued with a few visions. They were abstract for the most of my experience. At the very end I did get one very powerful and very clear vision that was the answer to my question and my intention for the ceremony. It might sound as if I didn’t have any control over my mind, but it was a complete opposite of that. You become suddenly aware of everything that is happening inside and outside of your body and mind. It was a super human level of hyper awareness. There is a certain stereotype about anything that affects your mind and your consciousness. Most of the times this would relate to drugs. And it has a lot to do with the society’s understanding of the concept of inner exploration. A lot of people still consider Ayahuasca to be a drug and a dangerous illegal thing. Sadly, the media and internet don’t help in spreading a good word about it. Yes, medical institutions might not approve of it (for a very obvious reason) but it has a tremendous power to heal the body and mind and radically shift someones life forward without any modern world medication. And this is a beautiful thing. Ayahuasca is not a drug, it’s an ancient sacred medicine that opens up the doors to the spirit realm. Since my first experience, I have participated in 3 more ceremonies. 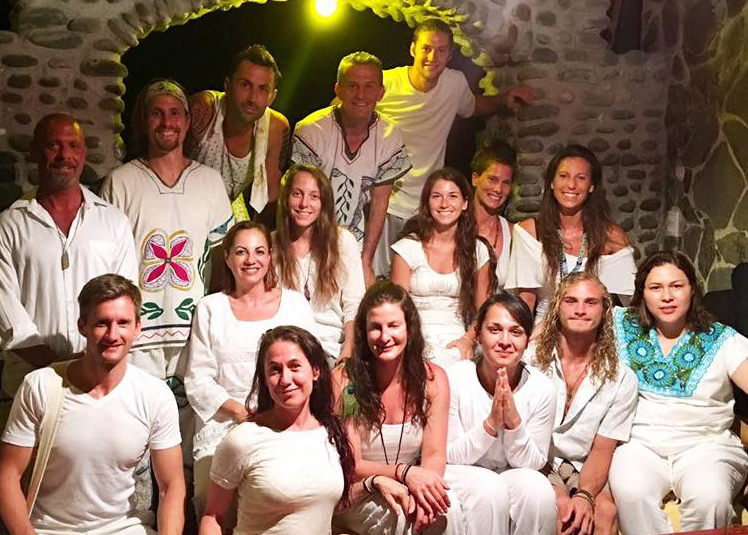 Each one was magnificent and transformed my life in a way that only Ayahuasca can do. It gave me a direction and showed me what I needed to focus on. In our world, full of unnatural material goals, constant miscommunication and lack of self understanding, we need something that can open our eyes, shatter our egos and uplift our spirits. Ayahuasca is a true salvation, wise teacher and healer for those on the spiritual path who are eager to step into their power fully and shed all thats no longer serving their highest potential. Ayahuasca is the greatest gift you can give yourself.